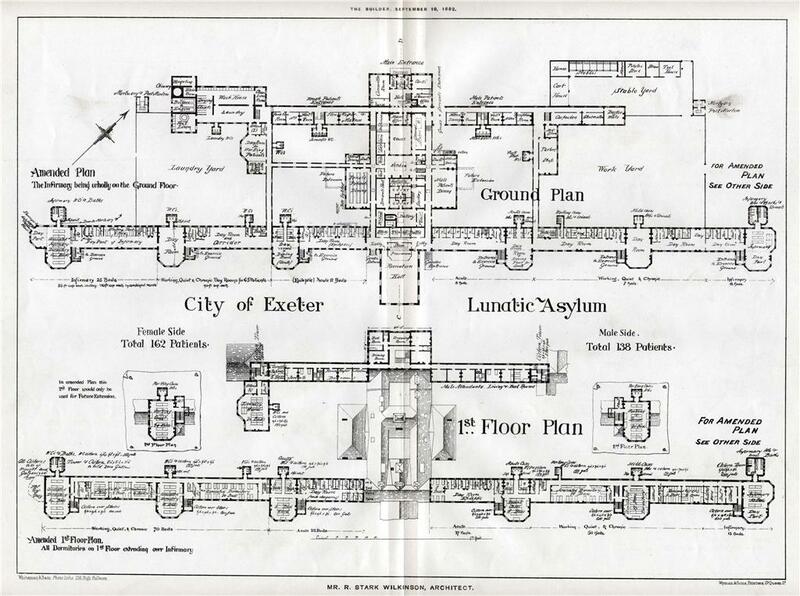 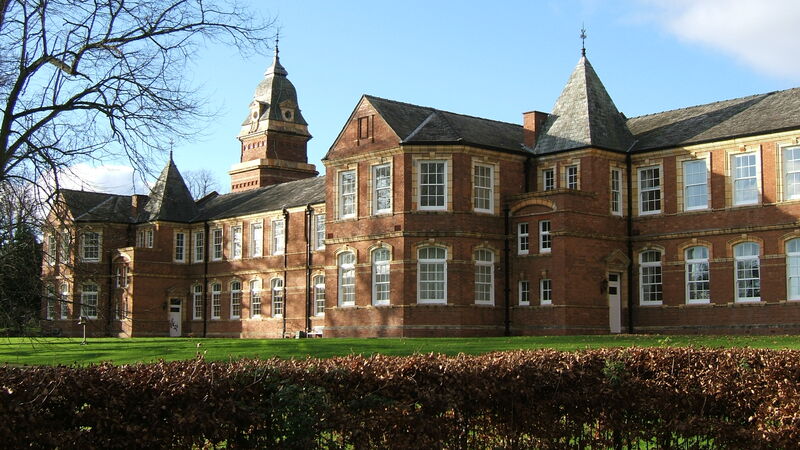 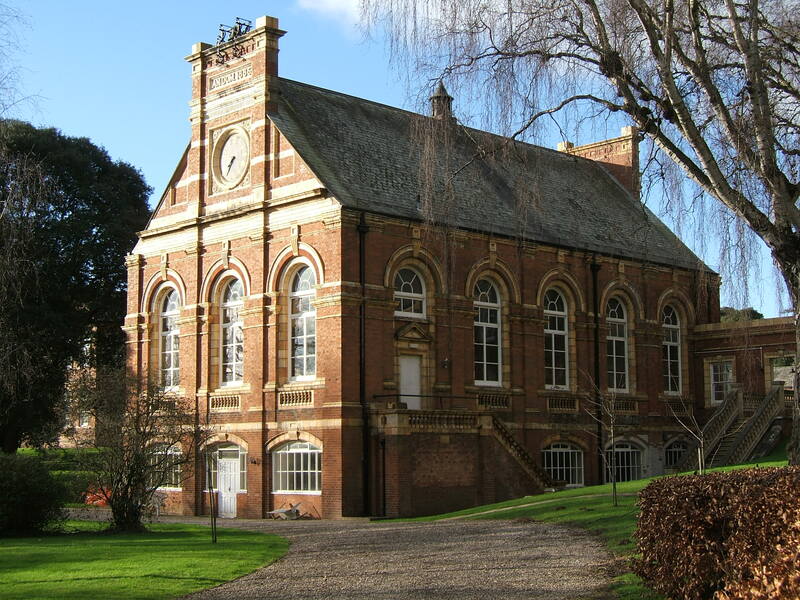 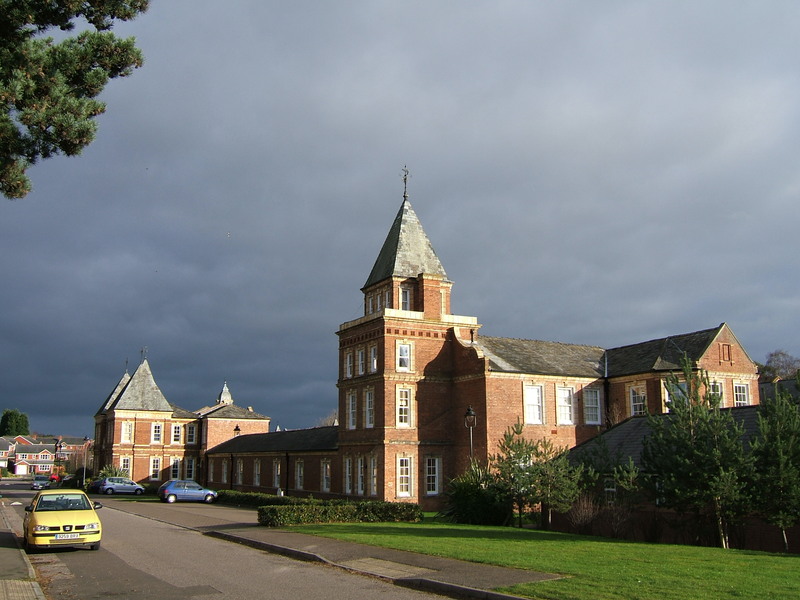 In addition to the Devonshire County Asylum located to the south of the city, Exeter was also home to a subscription lunatic asylum at St. Thomas’ hospital, Bowhill house, replaced in 1865 by Wonford House Asylum, taking patients across the southwest. 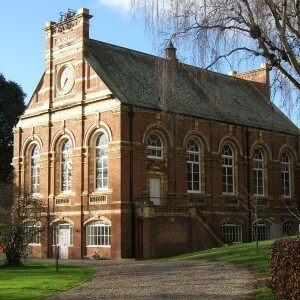 However neither institution ensured accommodation for paupers of Exeter. 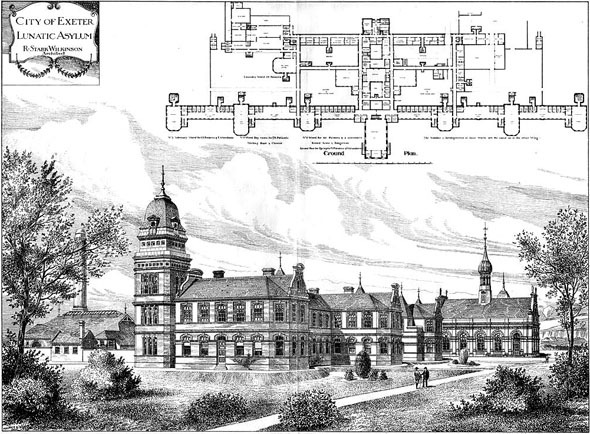 By the 1880s the City invited designs for a new asylum to be built at Digby. 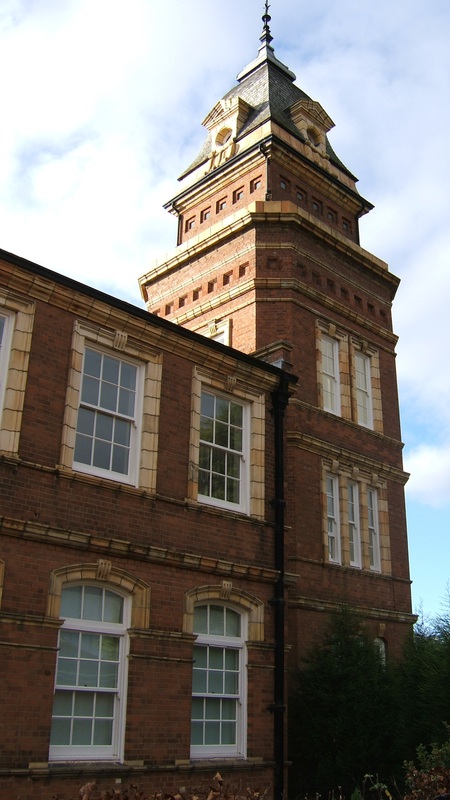 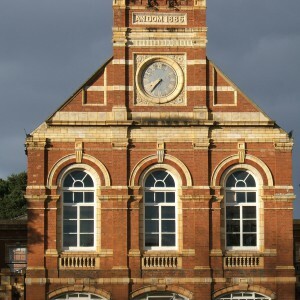 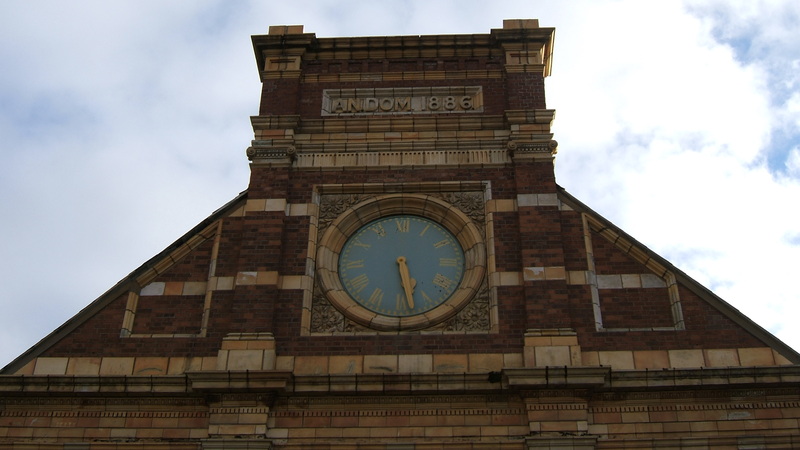 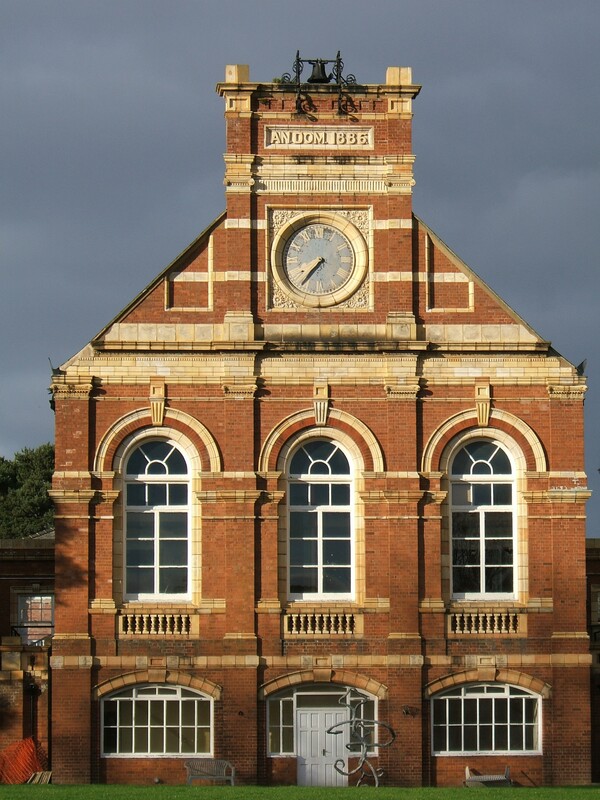 The chosen design was that of local architect, Robert Stark Wilkinson also responsible for the Doulton Co. pottery works at Lambeth. 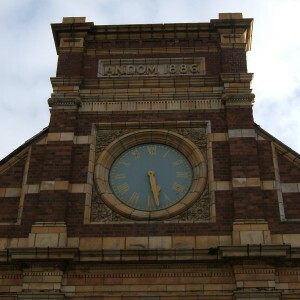 As at Lambeth, Wilkinson made extensive use of decoration, although utilising faience and Queen Anne styling in place of high gothic for Doultons. 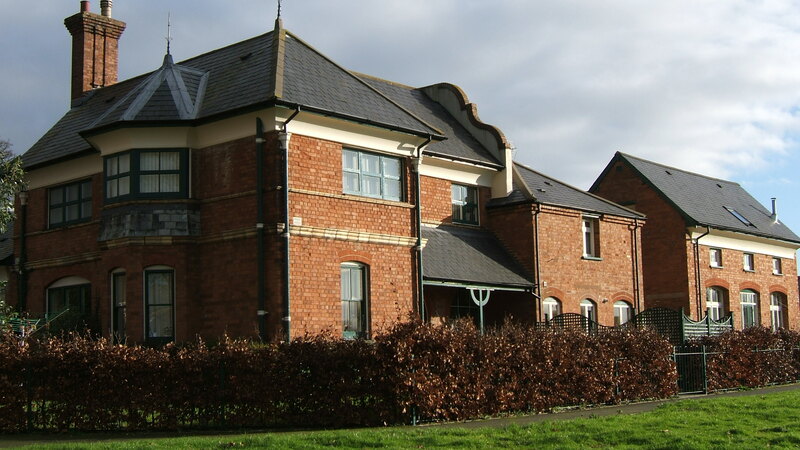 The structure comprised of two principal ranges, the northernmost comprising of service areas, administrative facilities and accommodation for the laundry workers. 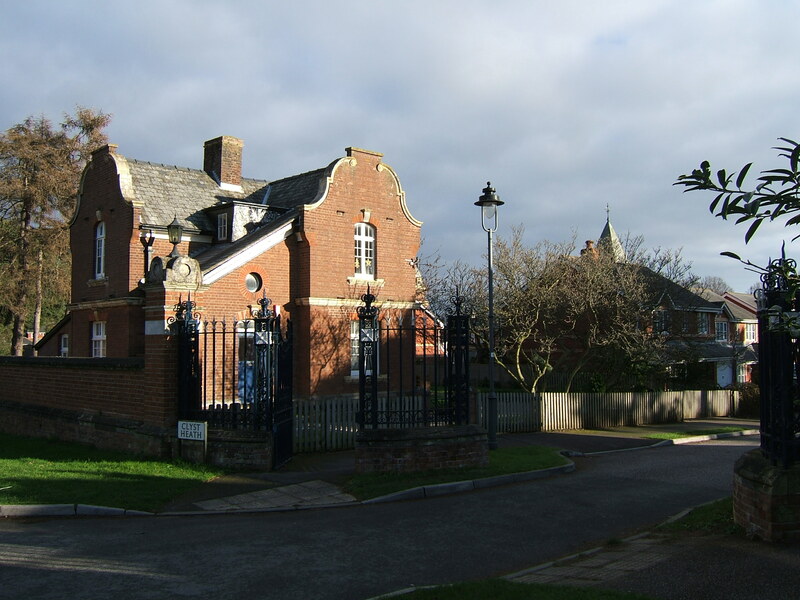 The principal facade to the south overlooked open land and comprised of a series of wards with male and female areas separated by a central recreation hall. 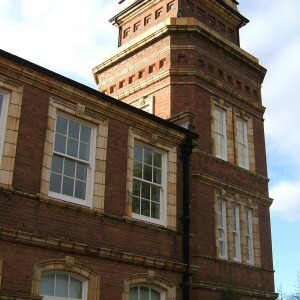 At the end of each block was placed a substantial tower, the design and height differing between north and south ranges. 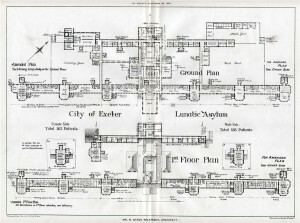 Cross passageways linked both ranges and also the superintendent’s residence. 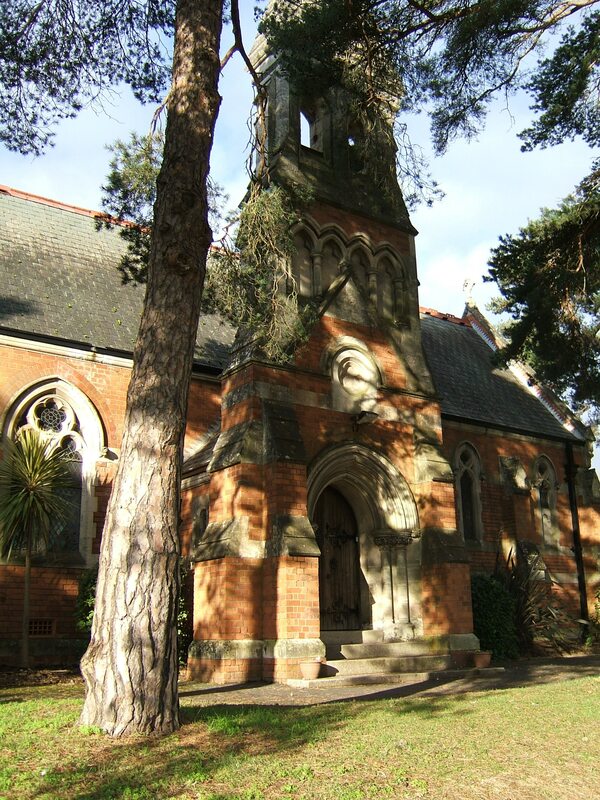 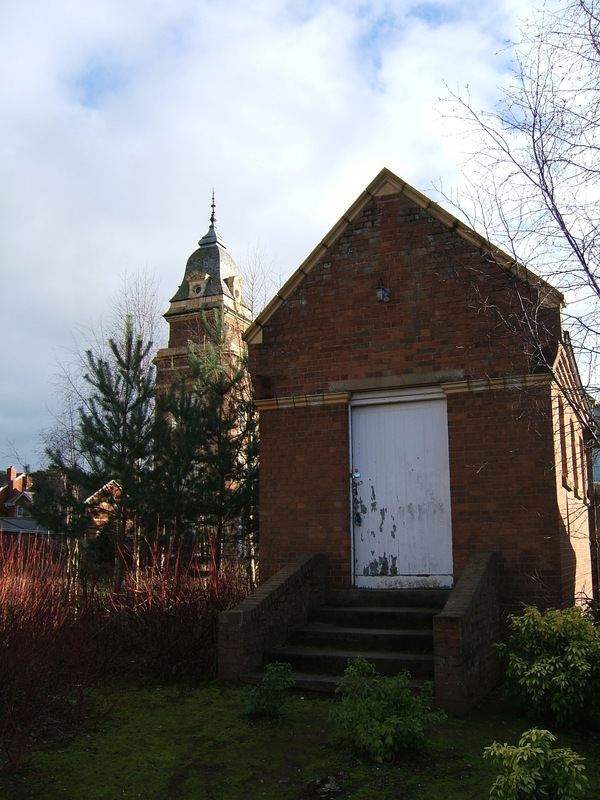 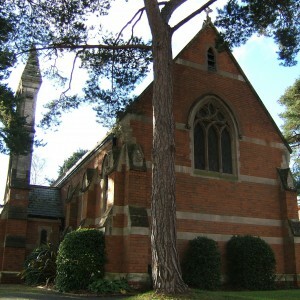 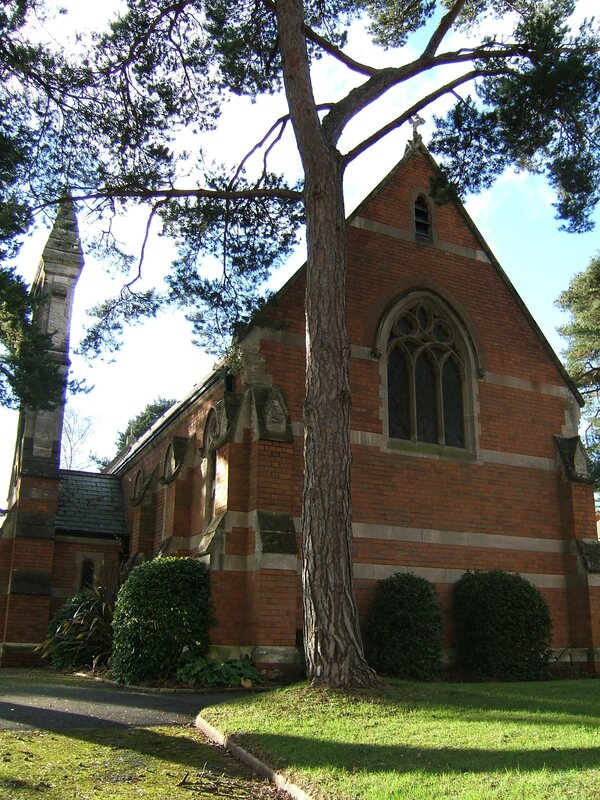 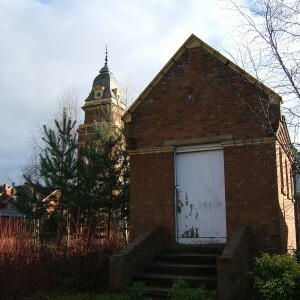 A detached chapel and lodge flanked the approached to the administrative block from Woodwater lane. 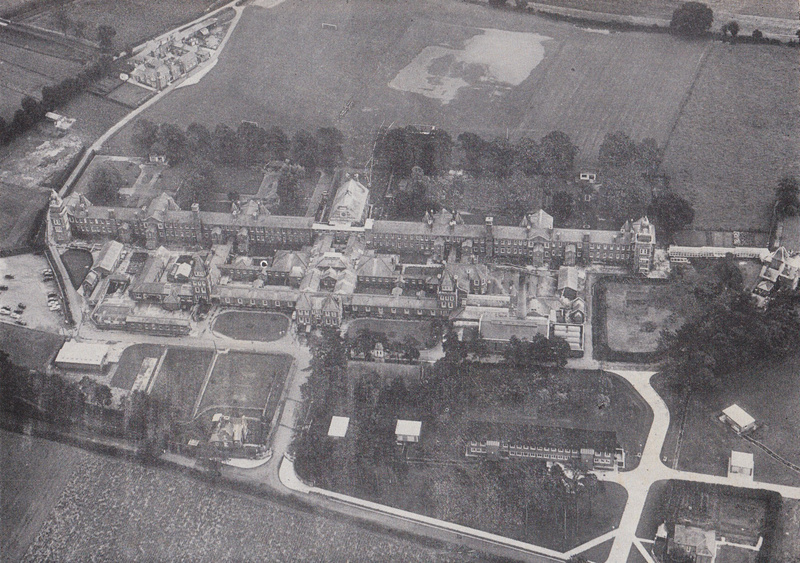 The asylum farm stood to the south east providing occupation for male inmates. 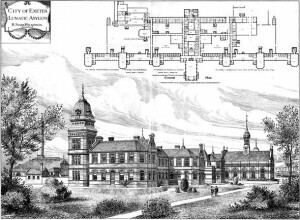 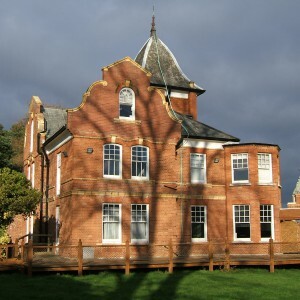 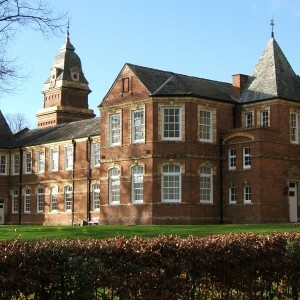 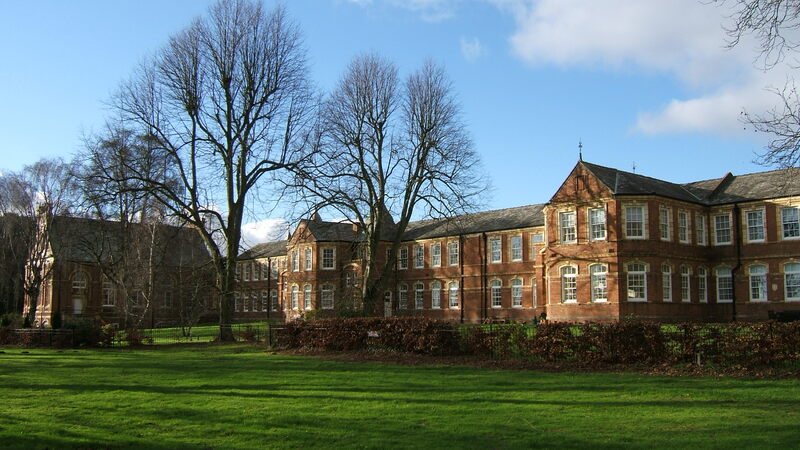 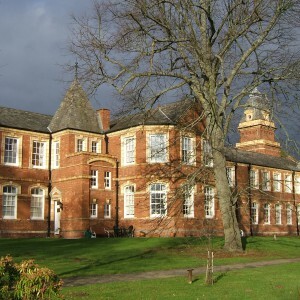 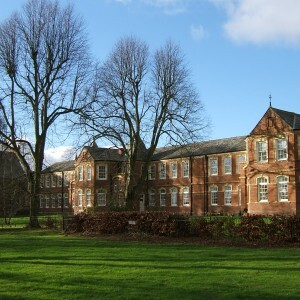 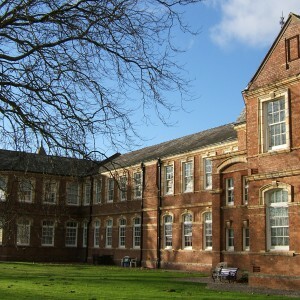 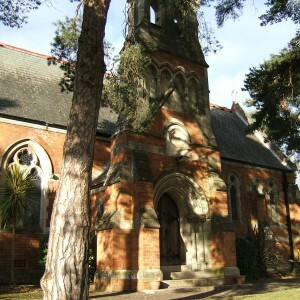 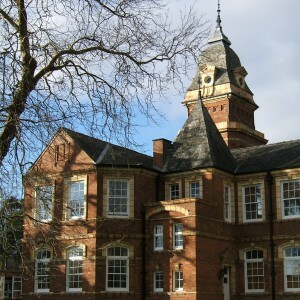 The complex opened for admissions in 1886. 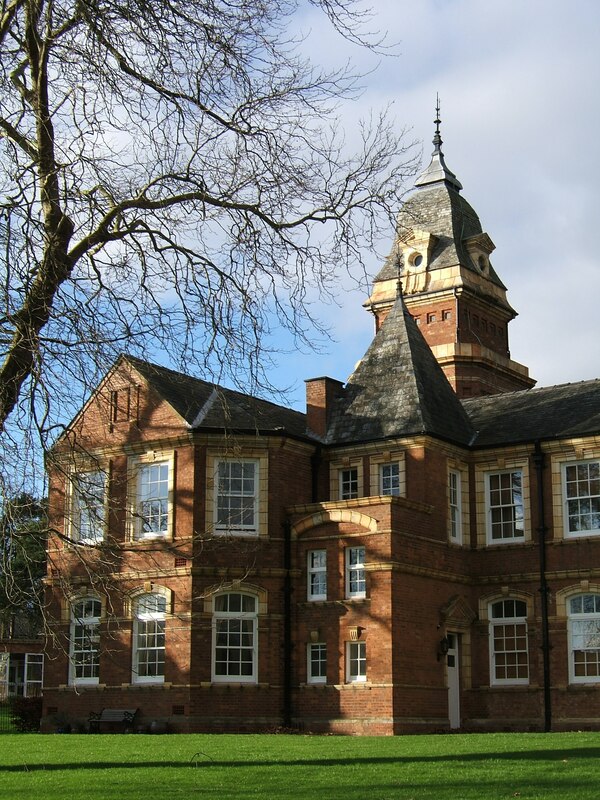 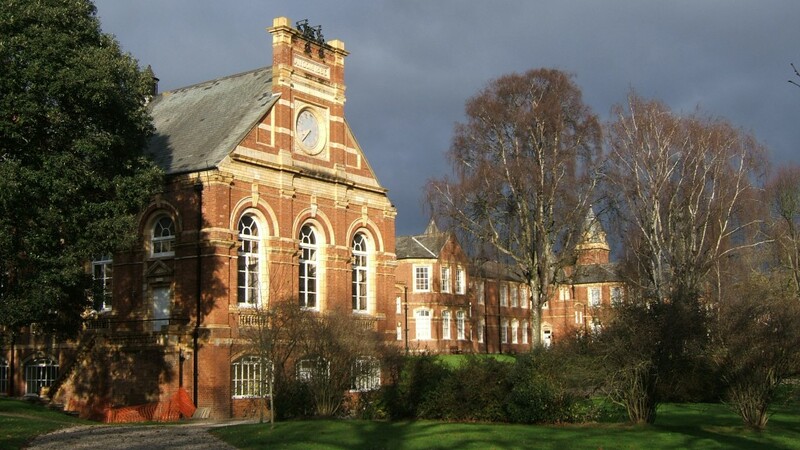 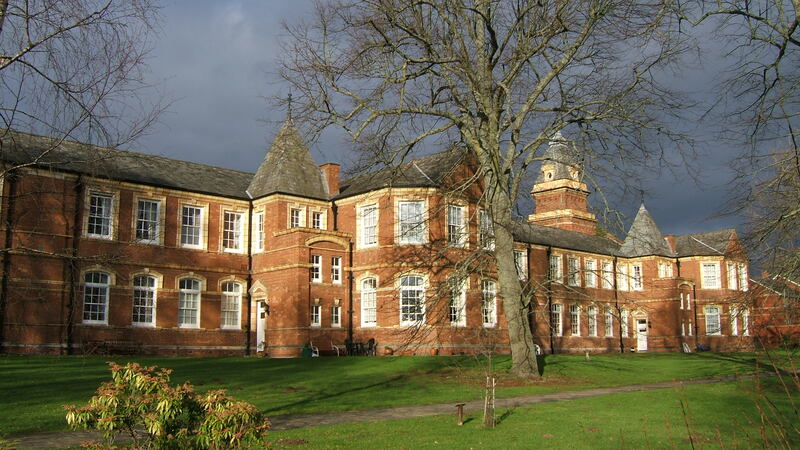 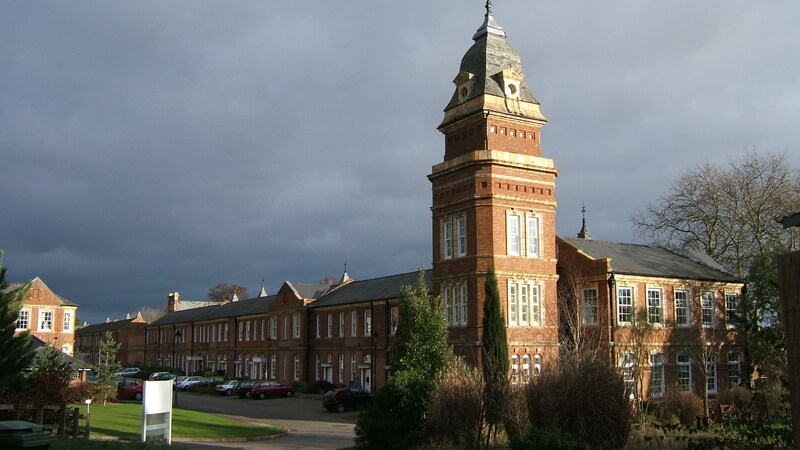 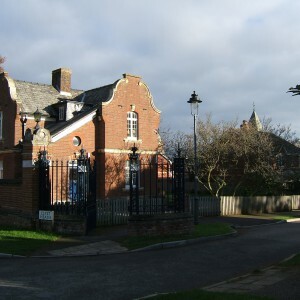 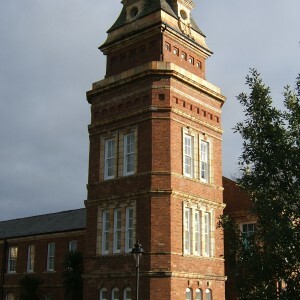 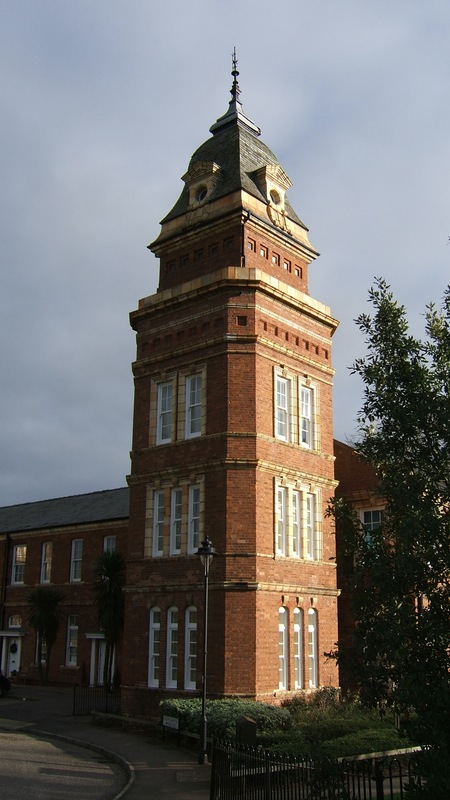 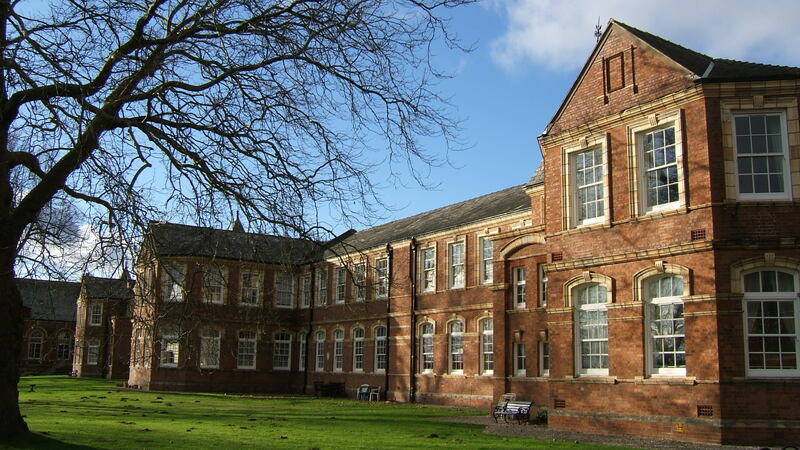 During World War I the asylum took patients from the Bristol City asylum, Fishponds, when it was taken over for military use as the Beaufort War Hospital. 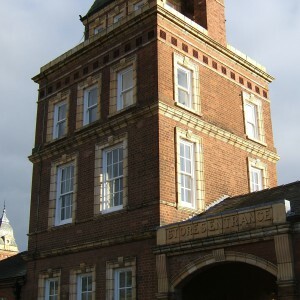 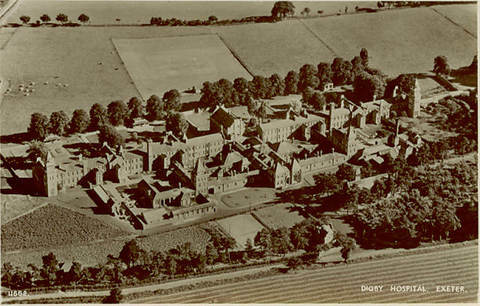 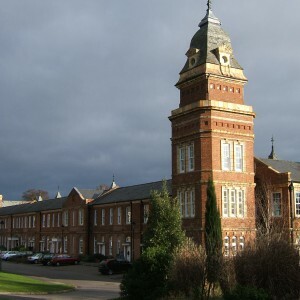 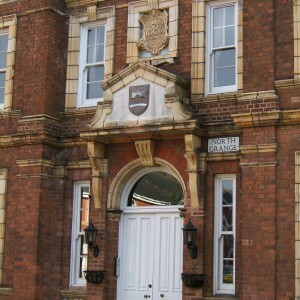 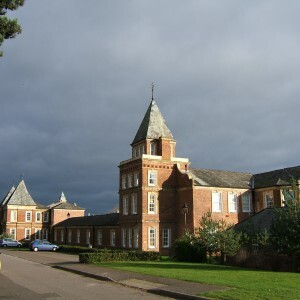 Digby mental hospital became part of the National Health Service along with others in the area and was eventually merged with Exminster and Wonford house as Exe Vale hospital. 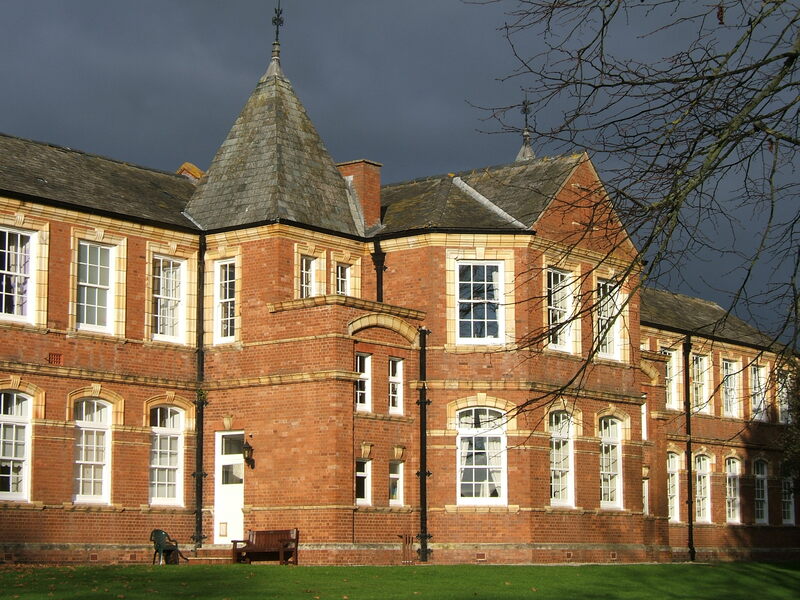 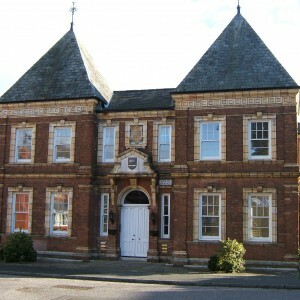 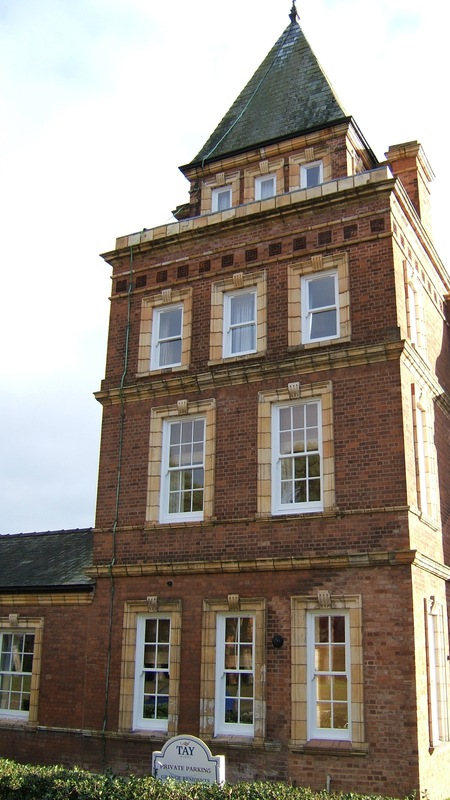 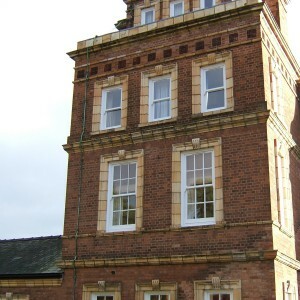 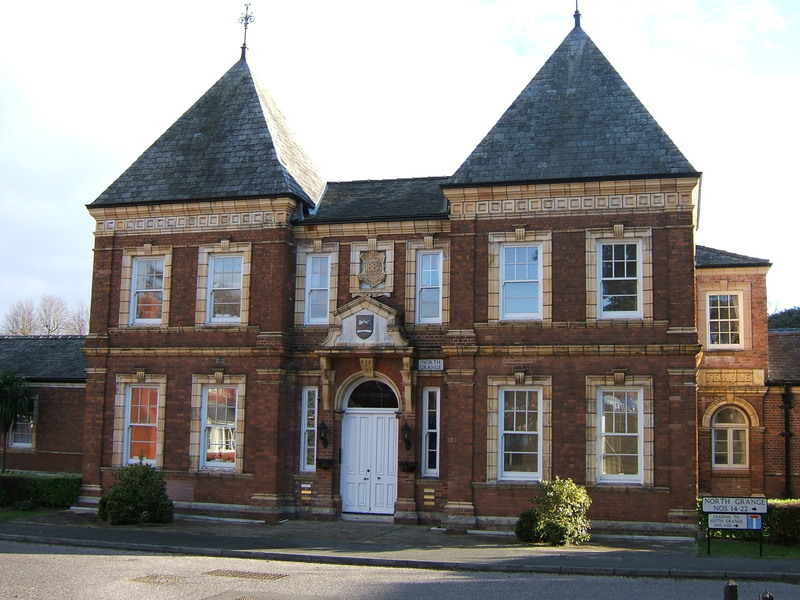 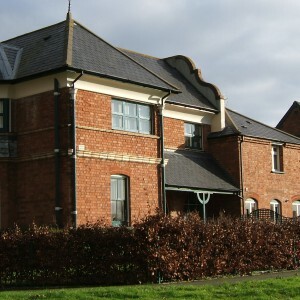 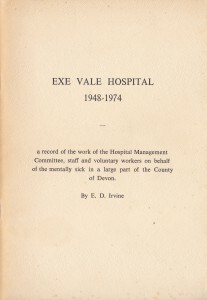 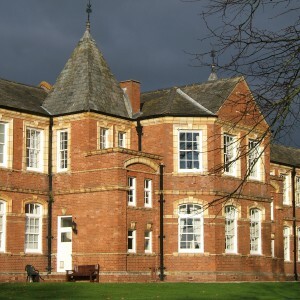 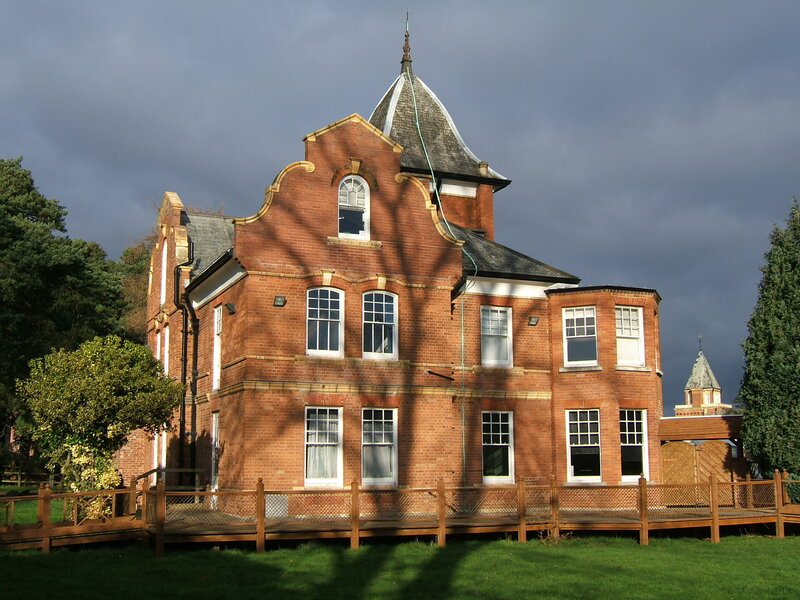 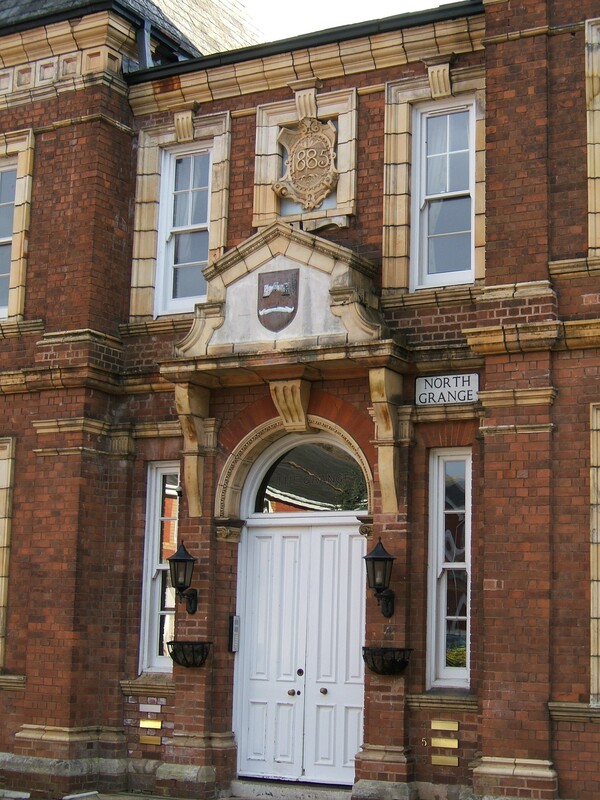 The Russell clinic was constructed on land opposite the hospital during the 1960’s until it was transferred to Wonford house during reorganisation of services across the Exe Vale sites. 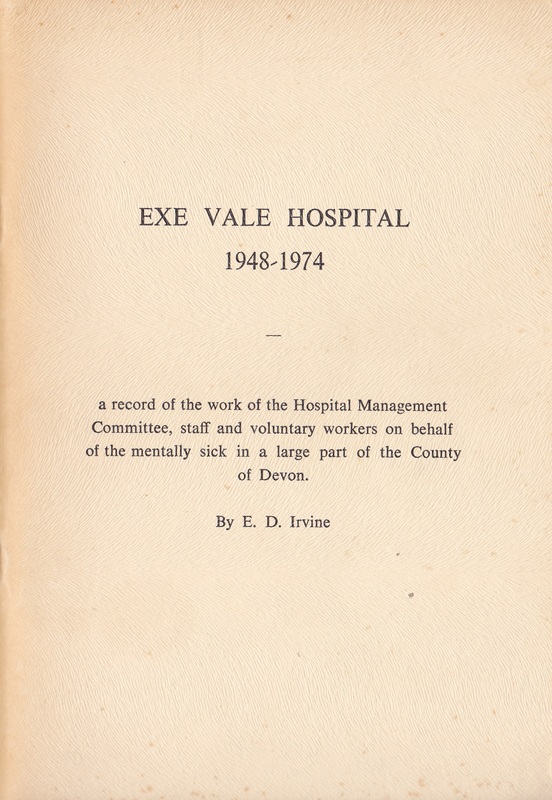 Closure took place just after the hospital’s centenary in 1987, the year after Exminster. 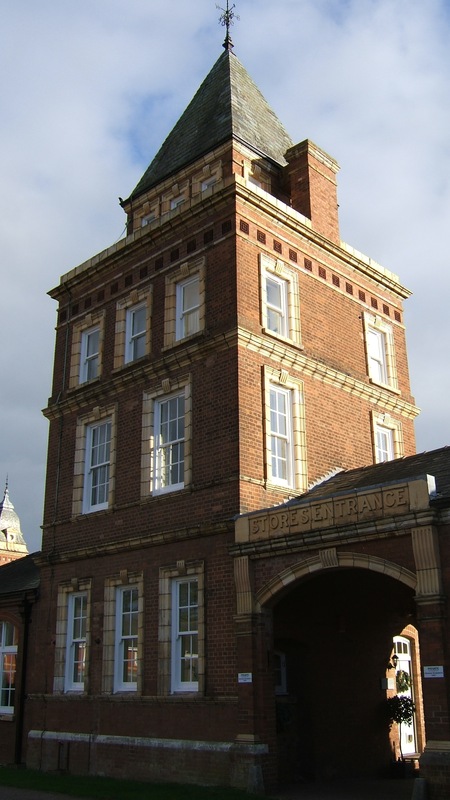 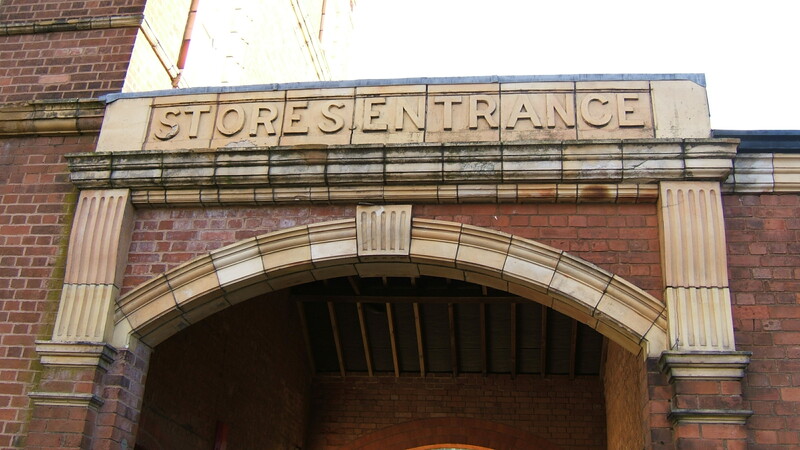 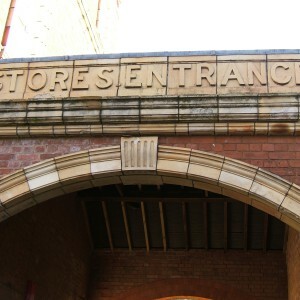 Early plans for the site anticipated the construction a supermarket and new housing through the site, however the building was Listed Grade II and the building sympathetically converted to housing. 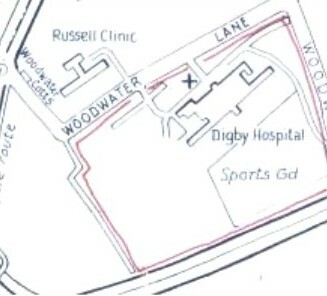 The site of the Russell clinic is now occupied by an access road.